Exposure to damaging pollutants and UV rays can weaken the skin’s natural protective defences, leading to premature ageing, chronic inflammation and damage to the underlying collagen matrix. 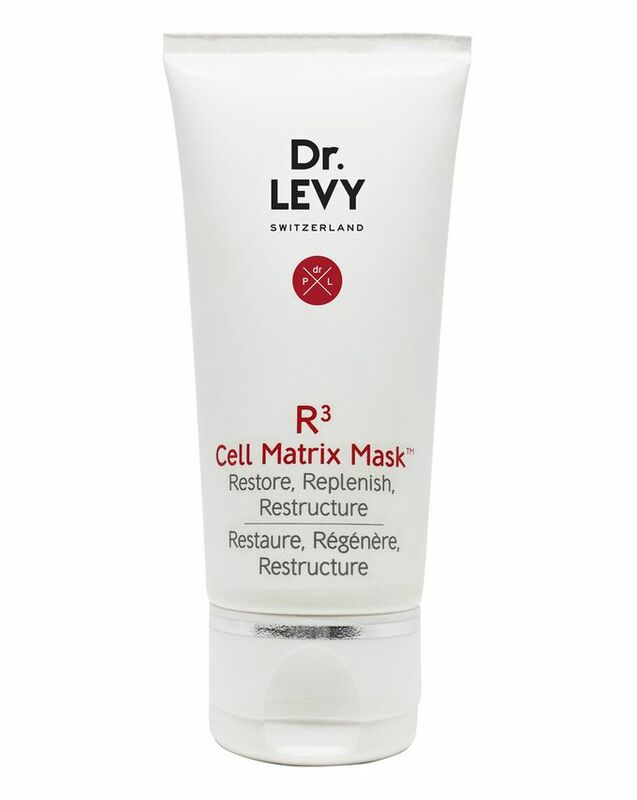 To counteract this unfortunate state of skin affairs, Dr LEVY Switzerland has come up with a (characteristically ingenious) antidote, exclusively at Cult Beauty: the R3 Cell Matrix Mask. Visibly restoring skin’s healthy glow, firmness and brightness, this miraculous mask will leave your complexion silky-soft yet durable and invigorated. It’s supercharged with potent vitamins and antioxidants to reinforce the natural defences of our fibroblasts and dermal stem cells. Stabilised retinol helps to increase collagen production and encourages the epidermis to act as a stronger natural shield, boosted by a dose of firming vitamin A and ficus cells extract. Stabilised vitamin C is a powerful antioxidant that helps to reduce inflammation and guard against free radicals, aided by powerfully protective vitamin E. Concentrated hyaluronic acid hydrates intensely and helps to restore skin’s youthful plumpness, while omegas 6 and 9 provide a strong anti-inflammatory, soothing effect. Apply a thin layer to dry, cleansed skin and leave for 20 minutes. Before removing the mask, slightly wet face then remove with a dry cotton pad. 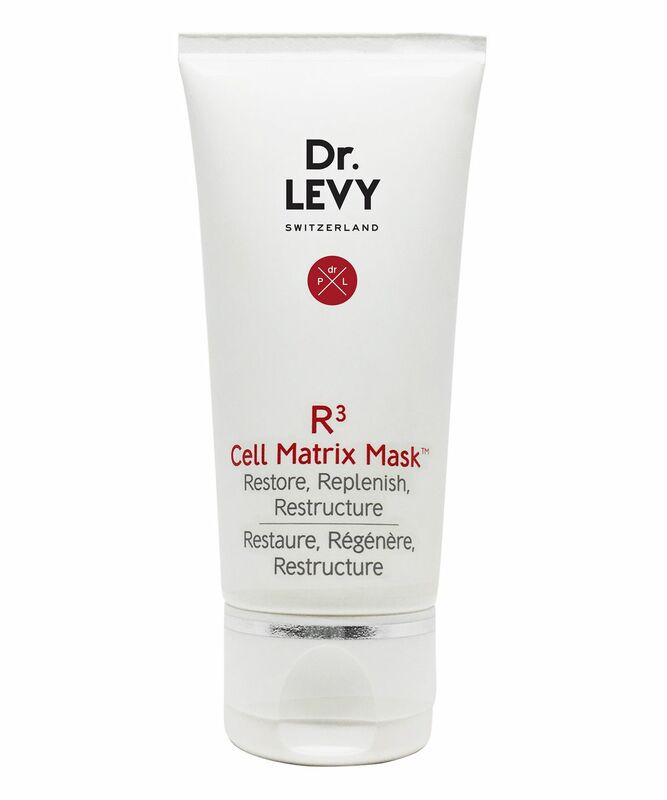 Dr Levy R3 Cell Matrix Mask can also be used locally under the eyes and left on for 10-15 minutes. Remove as per instructions above. If skin begins to tingle before the maximum time, remove the mask. It's pricey but it left my skin feeling really pampered with results lasting a few days. The texture and plumpness of my skin was improved after one application. I really like it and will buy again. I am 35 years old and have normal to dry skin with little signs of starting wrinkles. I have not seen anything special after using this mask - it is very sticky, for me it does not give enough hydration and I my skin did not become any smoother. Great product, very hydrating, did not cause irritation on my hypersensitive skin. I use it on my eye area too. Expensive but for me, it’s worth it. I first got it as a sample and then I purchased the full size. You only need a little bit as well. This mask gives everything you asked for from a skin care. I purchased it, after using a sample. This mask is hydrating and repumpling, after using it,you feel your skin refreshed and relaxed. I received a sample of this mask and I'm so impressed! I left it for 30 minutes and my skin was so hydrated and plumped, I couldn't believe it. I looked extremely fresh as after a spa procedure. Really liked it! It's so expensive but totally worth it. Brilliant product. As I travel a lot and always need products to make me look awake and this is perfect. I used it on the face and all around the eyes - feels fresh and then you forget about it. 20 minutes and my tired eyes were gone, helped wrinkles too and the skin felt full and soft. Strongly recommend!